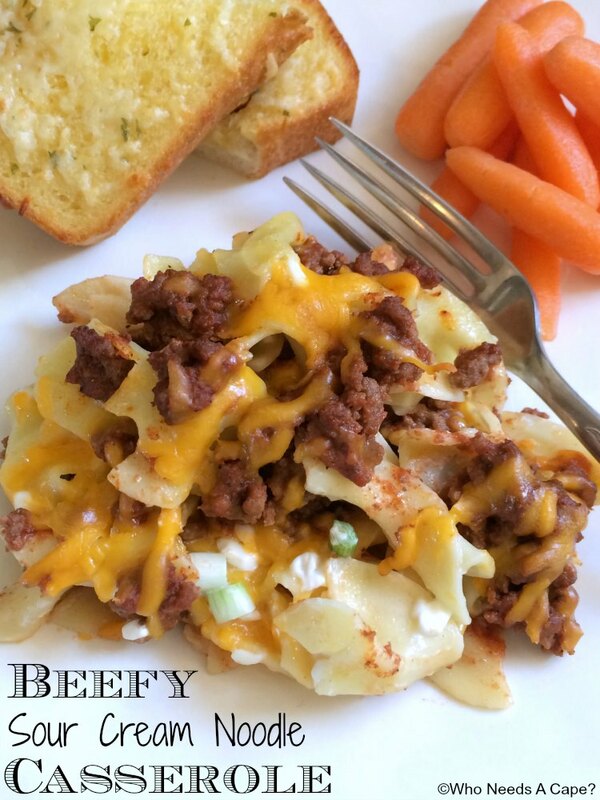 Beefy Country Potato Casserole | Who Needs A Cape? 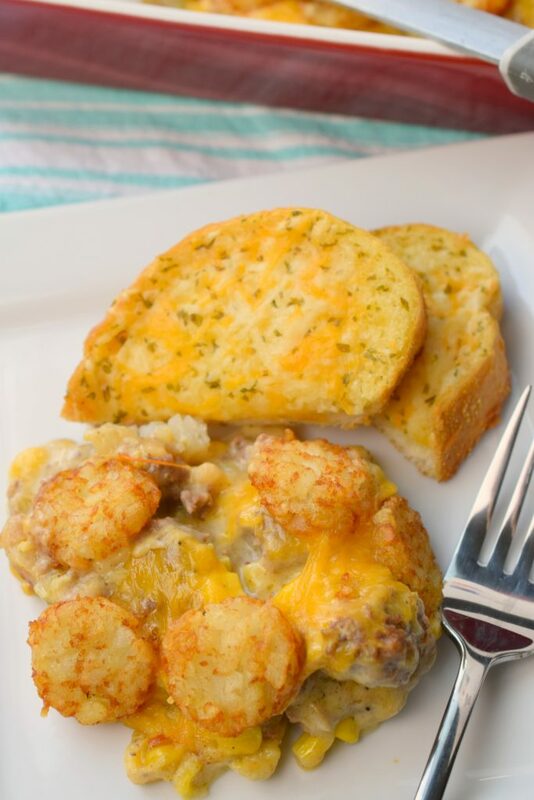 This Beefy Country Potato Casserole is a hearty dish at the entire family will enjoy! 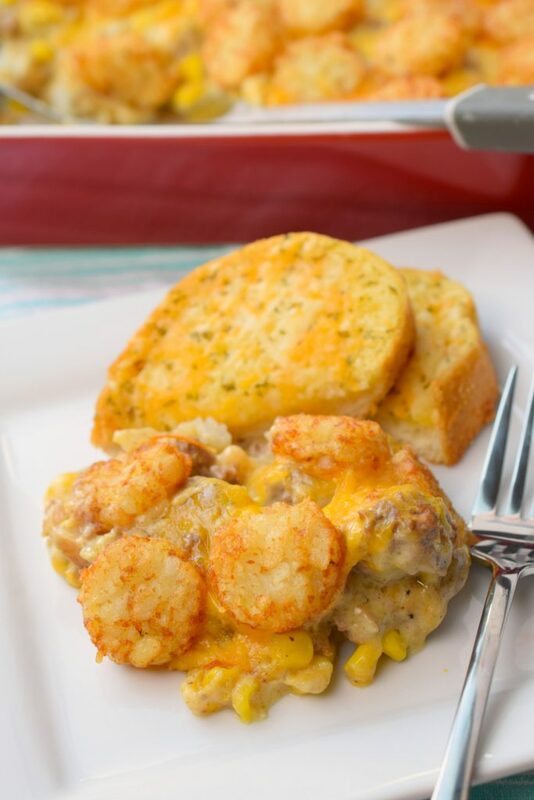 With cheese, potatoes, beef, and corn what’s not to love? 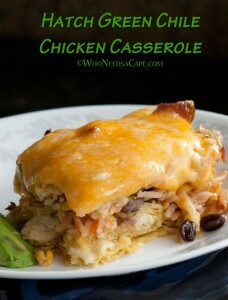 I’m a huge fan of casseroles! 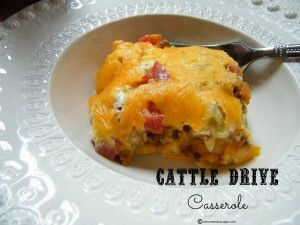 And some of my go-to recipes in my house are in the casserole category. What’s not to love? 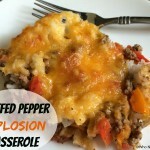 Basically, it’s comfort food in a casserole dish! 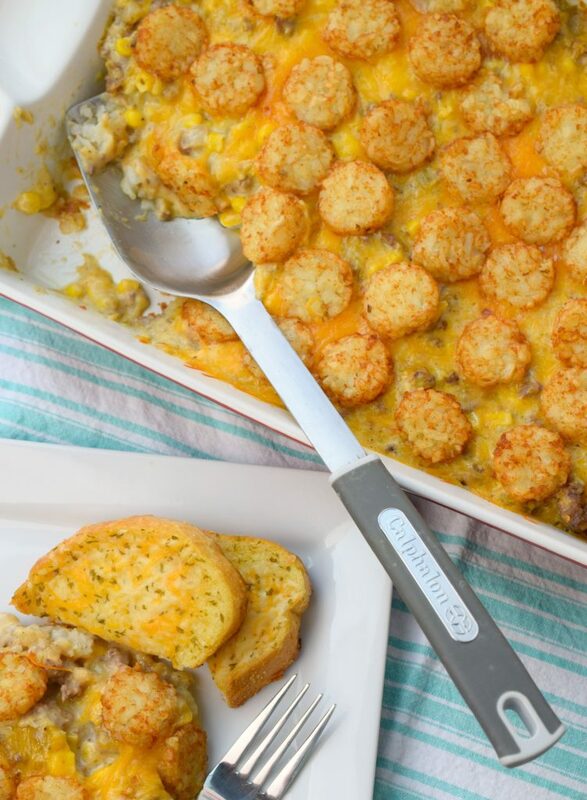 Now you may recognize this dish and even refer to it as Tater Tot Casserole. 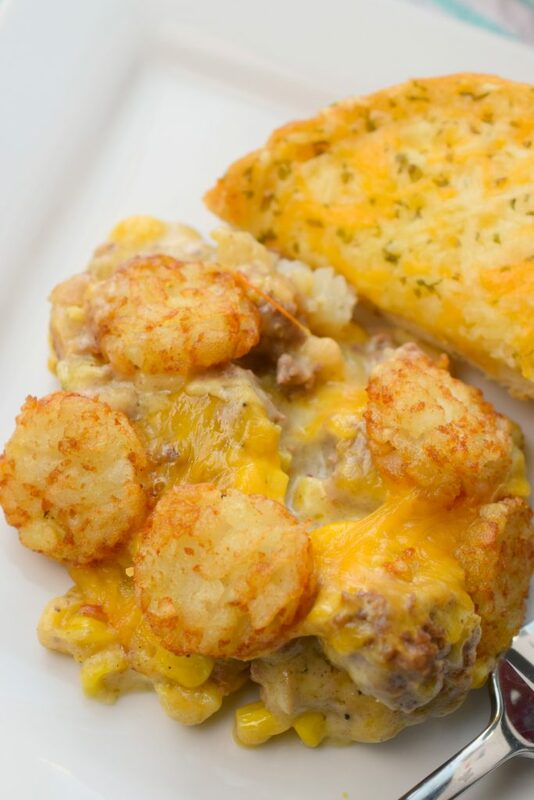 There are a million variations of this beloved casserole that originate back in the 1950’s when tater tots were born. 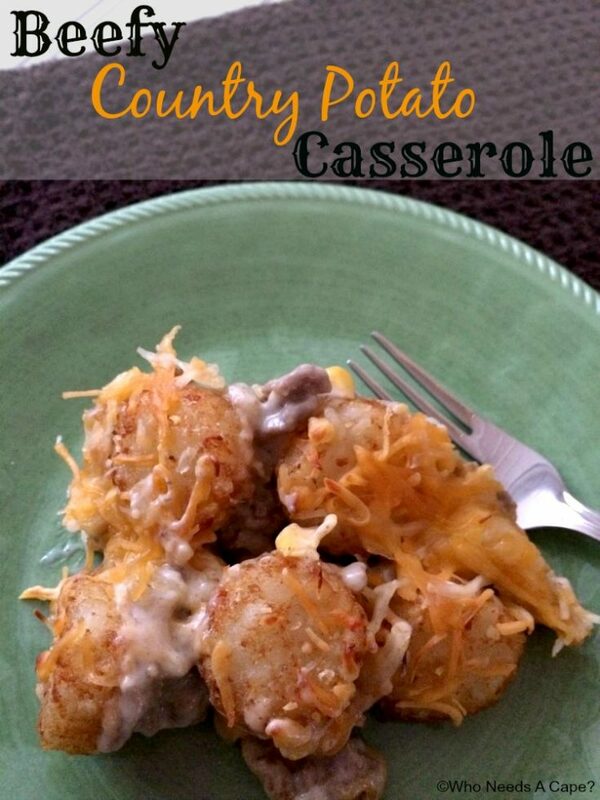 My version is similar to one I found on Pinterest referred to as Cowboy Casserole (actually the complete title of this recipe makes me laugh, “Cowboy Casserole … looks like dog food … tastes delicious”) and while you’ve gotta admit it isn’t the prettiest dish, boy is it good! There are a couple of things that I use specifically in my version that I wanted to note. 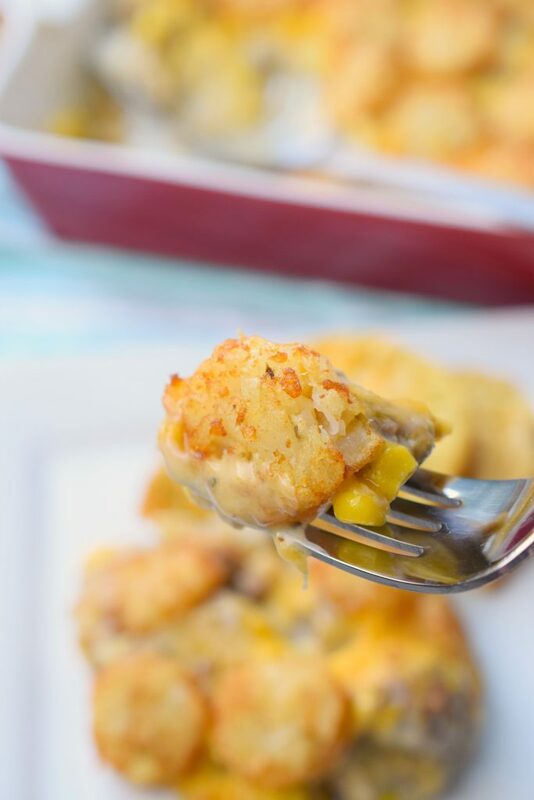 First, I use the frozen potato rounds, or sometimes they are labeled as “crowns,” these are circle-shaped and thinner than the traditional cylinder shape of a tater tot. Why do I use them? They lay flatter in the pan, which is nice when layering and they are thinner which means I know they are heated through all the way. Also, I use cream of celery soup, this is a personal preference and you are welcome to use cream of mushroom or even cream of chicken, or if you’re super zealous and make your own cream soup base, even better! Preheat oven to 350° degrees. Spray 9x13 baking dish with non-stick cooking spray. 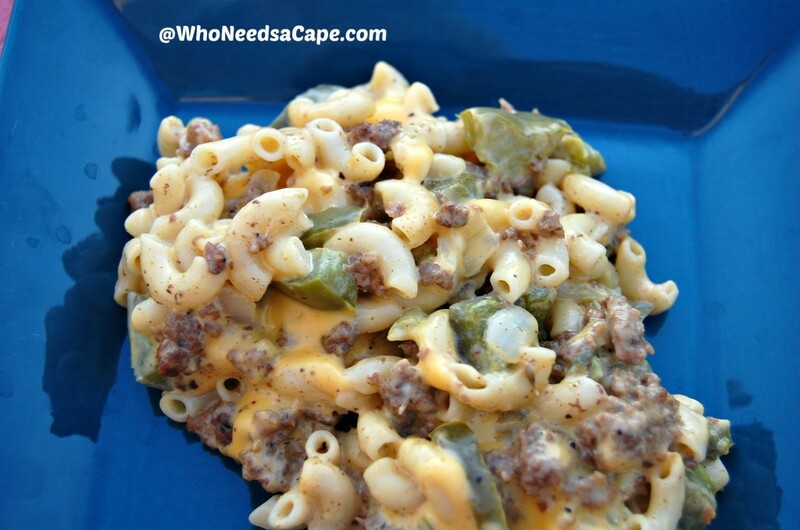 To skillet add olive oil, garlic and diced onion, saute 1-2 minutes, add in ground beef and cook thoroughly. Drain off grease. Stir in corn and set aside. 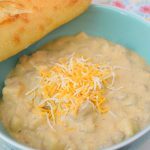 In large bowl stir together Cream of Celery soup, milk, sour cream, pepper, Lawry's Seasoned Salt and 1 cup shredded cheese. Add in ground beef mixture, stir well. Layer 1/2 of potato rounds in bottom of 9x13 dish, spread ground beef mixture over top of potato rounds. Layer remaining potato rounds on top of ground beef mixture. 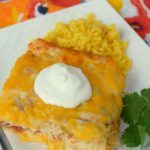 Sprinkle remaining 1 cup shredded cheese on top. Bake 30 minutes or until top is golden brown. 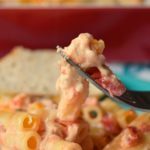 I don’t make enough casseroles, and I really should! This looks so good! 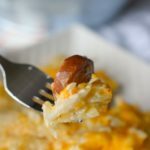 Thank you Aggie, hope you enjoy this dish! I made this for my family and my daughters boyfriend, who LOVES Shepard’s Pie tonight. I changed the cream of celery to cream of mushroom only because that is what I had on hand. WOW was this good. They LOVED it! I have NEVER liked things like this. I MUST say this was REALLY good. I WILL be making this again. I’m so happy to hear you enjoyed! Thanks for stopping over! 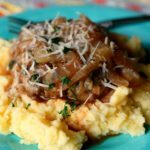 Can this be done as as crock pot meal? Hi Jacquely, I’ve never made it in a slow cooker. Let us know if you give it a try. I actually made this for dinner last night myself and took new pictures 🙂 glad it was a success. I’m adding in some options for additional flavor profiles, when I update. Thank you for stopping by!